Color Classic Web Server News: Color Classic internet connection over wireless? Color Classic internet connection over wireless? 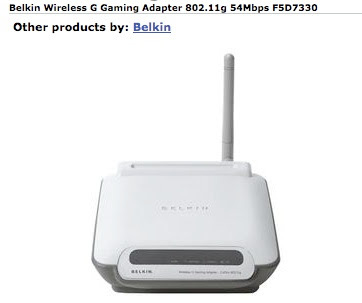 Ever since I helped configure a wireless ethernet adapter at a friend's house I've pondered whether the Color Classic could be connected to the internet without a direct ethernet cable. One gotcha may be that it is USB powered (does not have an external adapter) but I plan to get around that with a spare iPod charging adapter with a USB socket that plugs into an AC outlet. I'll report back on my progress after it arrives. If I get stumped I can always try their free technical support! The wireless hub arrived and it includes a power adapter so I won't need to provide a power source after all. Out of the box it will connect to an unsecured wireless network without any configuration. To connect to a password protected network it has to be configured with a Windows-only application that's provided on an included CD. I used Parallels to run it on my MacBook Pro. Once I've done some testing I'll let you know if I feel confident enough to entrust the web server to using it.